Have you ever had to do something repetitive like make a change to a table in each of your workbooks sheets? 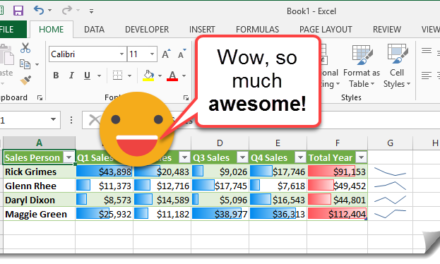 Maybe you have a sales file with sales data for each month in a separate sheet and you need to add a column to the table in each of the sheets. You could manually go into each sheet and perform this task 12 times, but there’s a quicker way. Select all the sheets that you want to perform the action on. 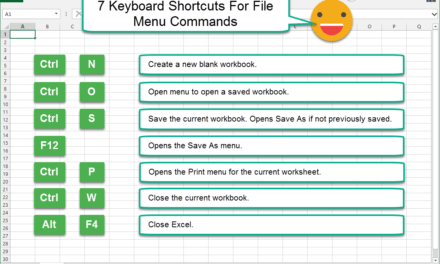 Click each sheet you want to change while holding Ctrl key. 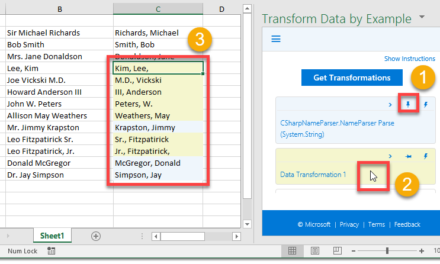 When you have selected two or more sheets in your workbook, you will see [GROUP] appear at the top of Excel to the right of the sheet name. Now perform your action. 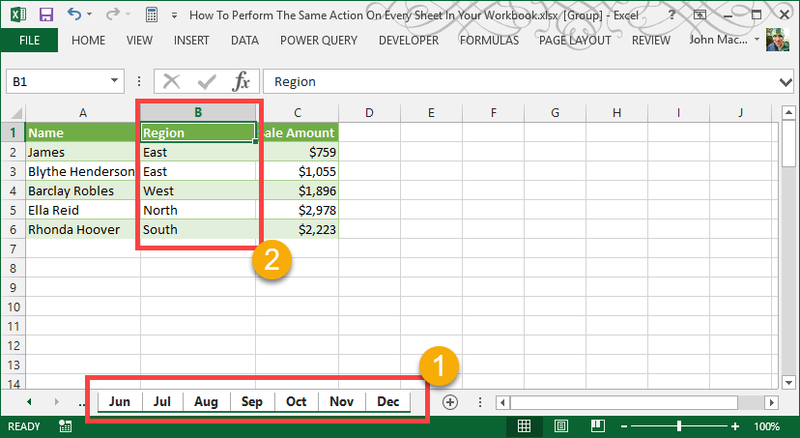 In this example I insert a column into the table, add a column heading label of Region and add the region for each sales person. Ensure all the sheets you want are highlighted. Make your desired changes in the active sheet. Now when you look at each sheet in the workbook all the tables have gotten this updated column. Wow like magic, what a time saver. 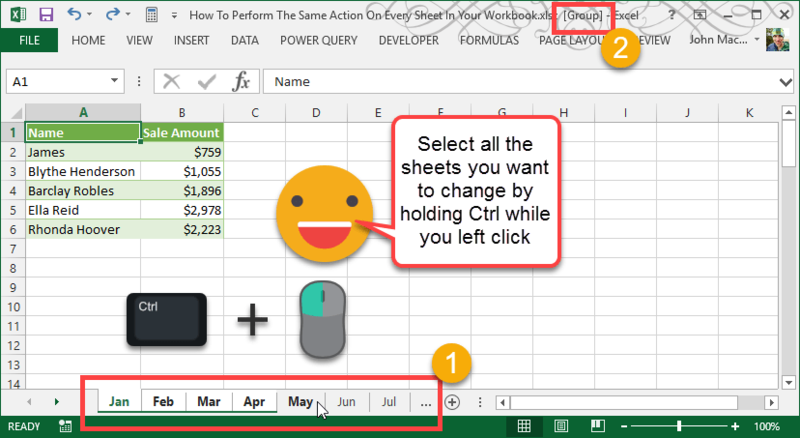 Tip: If your workbook has a lot of sheets and you want a quicker way of selecting your sheets use this trick. Hold Ctrl and Shift and press Page Up or Page Down to select another sheet. 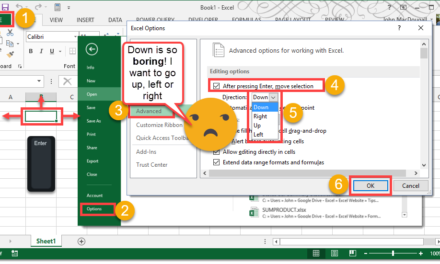 Hold Page Up or Down and Excel will zip through the sheets. Alternatively, right click on any sheet and choose Select All Sheets.